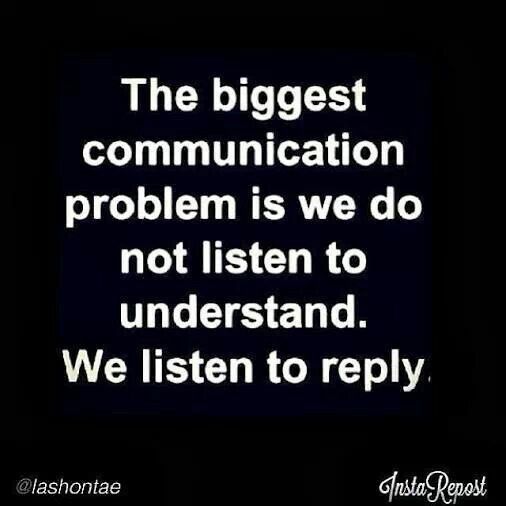 Hello and GOOD MORNING! Boy...it feels like FALL here this morning and let me tell you it feels GOOD! It also saw that Farmer's Almanac is saying it's going to be a long, wet and snow filled winter in Northern California! I'm hoping it starts early...puts the fires out and gets the smoke out of here! I have another card we made at my August workshops to share with you today! It's hard to tell from this photo, but the card base is Whisper White and is 4 1/4" X 5 1/2". The base doesn't open up...the Berry Burst part of the card opens up! It's kind of a cool fold! I think I'll do a video of this for next Tuesday's Tip! The Berry Burst layer measures 5 1/4" X 8" and is scored and folded at 4". After scoring it I embossed the front half with the Polka Dots embossing folder. 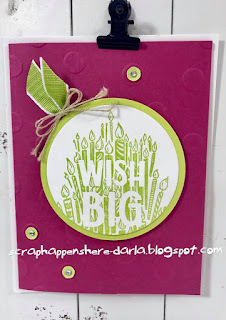 The Wish Big sentiment is from the Big Wishes stamp set and is stamped in Lemon Lime Twist ink onto a Whisper White circle cut with the Layering Circles framelits. I used a little large circle framelit to cut the Lemon Lime Twist background layer. The sentiment is attached to the card front with dimensionals. I also added sequins, rhinestones, linen thread and Granny Apple Green Textured Weave ribbon! It's a SUPER simple and fun card to make and can be used for ANY occasion! My mind is spinning! Hey...that's it for today! Thanks so much for stopping by! Have a FANTASTIC rest of your day and week! Hope you find time to CREATE!